As many people are heading off for their summer breaks, caravan and motorhome enthusiasts are already well into their holiday season. Over 30 percent of them spend between 40-70 nights away from home in their caravan or motorhome each year, according to latest research from the Caravan and Motorhome Club. For caravan and motorhome owners each weekend can become a regular mini-break. Many Club members take regular short breaks, heading off to sites in great locations to enjoy time away relaxing with friends and family. Caravan and motorhome holidays are also perfect for the whole family, including the dog! To avoid feeling the pinch on holiday kennel costs, two thirds of Caravan and Motorhome Club members choose to take their dogs on holiday with them. This not only prevents them being separated from the family pet, but also saves an average of £350* on two weeks kennel boarding fees alone. Whilst there are tangible savings to be made by caravanners and motorhomers travelling with their pets, these holidaymakers will also make significant savings on their annual holidays, paying on average £30.27 per night for two adults and two children in peak season. With leisure vehicles costing as little as £6,000 for a secondhand motorhome and around £2,000 for a caravan – together with annual running costs – given the time spent away from home by most owners, it represents a very cost-effective holiday option. The research also shows that one in five caravan and motorhome holidays in the UK involves children. To cater for these young adventurers, the Caravan and Motorhome Club runs a special programme at 60 specifically family friendly Tourer Explorer sites. Planned activities encourage kids to turn into nature detectives, wellie wanderers, budding artists, bug collectors and outdoor adventurers! There are also giant games on the sites – connect-4, dominoes and hoopla – so all the kids can get together, have fun and build friendships. With its growing member base including families, couples, pet lovers and all those with a spirit of adventure, the Caravan and Motorhome Club predicts that more than 16 million caravan, motorhome and camping trips will be made next year – the highest since 2006. Brian Morgan, Head of Communications and Events, the Caravan and Motorhome Club said: “We all know how great it is to be outside enjoying the UK countryside and coastline during the spring and summer months; it’s encouraging to see our members continuing to champion UK holidays in 2017 and spending quality time away from home with friends and family at all times of year. Champions of the great outdoors, the Caravan and Motorhome Club represents the interests of over one million caravanners, motorhomers and trailer tent owners across the UK. Founded in 1907, the Caravan and Motorhome Club has 110 years’ experience and prides itself on offering great value and high quality sites for caravanners and motorhomers. Caravan and Motorhome Club membership is just £49 per year and provides members with access to over 200 Club sites and 2,500 privately owned places to stay in the UK. It also offers a choice of 300 sites across Europe including France, Spain and Germany amongst other destinations. All members can take advantage of expert advice, overseas travel services, insurance services and exclusive member offers and discounts. 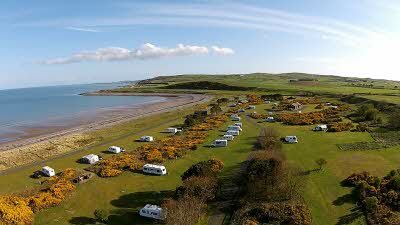 There is no membership requirement for campers who want to pitch up at over 40 Caravan and Motorhome Club sites.